The Golden Globe Award trophy has been redesigned, just in time for the upcoming 76th annual Golden Globes. Spoiler alert: It still contains a globe. But it's no longer made of gold. Previously, the Golden Globe itself, made of zinc metal and electroplated with real gold, rested on a square marble body and base. The new award's base is round and the entire trophy is made of brass, zinc and bronze. An illustration of the new Golden Globe appears on the official poster for the 2019 ceremony, which was released on Thursday by the Hollywood Foreign Press Association. The previous models were 10.75 inches tall and 3.5 inches wide and weighed 5.5 pounds. The new models are larger and heavier — they are 11.5 inches tall and 3.75 wide and weigh 7.8 pounds. Since 2009, the Golden Globe trophies were produced by New York trophy designer and manufacturer Society Awards and their unit price was about $800, according to MarketWatch. 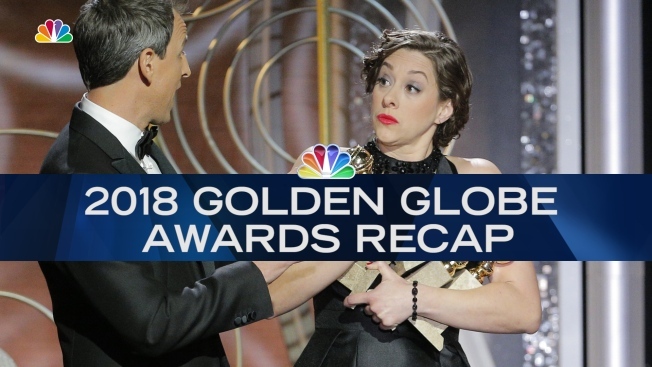 The 2019 Golden Globes ceremony will air live on NBC on Sunday, January 6, 2019 at 5 p.m. PT / 8 p.m. ET.